Know this one Jens ? W&P or not ? I worked on this car around 16 years ago. I had just been painted red and needed some reassembly. It is left hand drive and was originally from France. It had the rear bulkhead cut out and the rear seat folded down for extra carrying capacity. 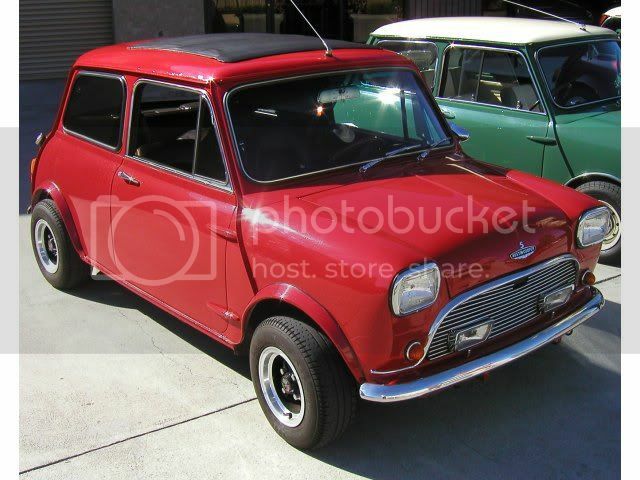 There was evidence that it was formerly black with a red vinyl top with matching sunroof. I admired how the demister ducts were riveted to the dash rail so that the captured nuts could be used to hold the dashboard on, such a simple solution. I also remember the electric window actuators were General Motors Delco-Remy units and were more than up to the task. The original Cibie headlights with yellow bulbs were in sad shape and needed the reflectors re-silvered. They were left with the owner to send off and have this done and I installed the sealed beams seen here as a crude temporary fix so the car could be shown. It’s a shame that the original lights never made it back on the car. The last time I saw it, it was still in northern California and it had not had a fire but that was still many years ago. it should atleast have been some kind of Rolls Royce metallic Red . I only heard the story about the fire from Nick, maybe its not the same car ? I'm still surprised these cars get broken for parts but it's quite common. Even Elton John's ! just like the Turbo conversions from JanSpeed, and Turbo technics. Evening folks, someone was asking for earlier shots of John Hammel's Mk2 S, I took these at Stoneleigh back in '99.... I couldn't take my eyes off it, what a beautiful car....! I always liked the Waso pentagon shaped petrol caps, I have an original matching pair on my own Mini. They are still manufactured in Sweden by Waso AB......never understood why no one imports them to the UK today for the classic car market? I did take some more photos of it that day, close up stuff for the all important details but I can't find them at the moment. Here you go, Beaulieu 2011. Back then, WP didnt make steering wheel center/gear lever knobs, these came later.